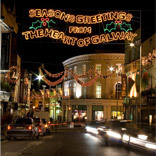 The firm has a long history of dealing with commercial property, acting on behalf of many of Galway's foremost construction firms and developers over a long period of time. Our Solicitors have the necessary experience and knowledge to advise our clients in relation to development projects from pre-planning to completion and working to deliver on time the legal framework for the purchasing, financing, sale and leasing of commercial projects. Major developments where the firm has advised clients include office blocks, IDA business park sites, business and retail parks, factories, warehouses and tax-driven inner city development projects.